....The client was very pleased with this solution and the introducing broker was very happy too as mainstream lenders could not help and the deal completed within three weeks. The Case: A directly authorised mortgage broker referred a client who was looking to raise £50,000 to purchase a BTL. Client’s only security was his residential home and to complicate the case further the client advised us he had only been self-employed for four months. The Solution: We placed this case with one of our lenders who offer a residential business loan product on a 2nd charge basis up to 75% LTV and advised the client that we could accept an accountants certificate projecting the current year’s net profit which was acceptable to the lender following a referral. Outcome: The client’s accountant provided an accountants certificate and our lender offered terms at 7.99% variable, which is our exclusive semi commercial rate. The client was very pleased with this solution and the introducing broker was very happy too as mainstream lenders could not help and the deal completed within three weeks. Scenario: We received an enquiry from an Appointed Rep where his clients were looking to consolidate their unsecured credit card debt but where his network had placed restrictions on any further advances/re-mortgages for debt consolidation where the actual consolidation was greater than their income. Our Glasgow office set to work immediately trying to find a second charge solution and found the enquiry to be further complicated by the fact that one of the applicants had recently changed from a self-employed HGV Driver to agency worker on zero hours contract. Although the clients were getting deeper into debt they had a clean credit profile and a link was identified between Mr’s time being self-employed and with the current agency creating a some continuity of work for over 12 months which enabled Smart Money to show a more stable and continuous source of income. Solution: United Trust Bank agreed a £66,000 second charge on a tracker rate of 4.9% with no early redemption charges which allowed the client greater comfort in knowing the product was flexible and if they decided to move house or refinance in the next 12-18 months there would be no penalty should they choose to pay the secured loan off early. The introducing AR was similarly delighted that we’d not only found a solution where his network were restricted, but was also left with a very satisfied client who had initially believed their change of circumstances would be a barrier. A directly authorised mortgage broker approached us with an enquiry where his client had purchased a property just 3 weeks previously. The client wanted a loan for £150,000 to conduct some improvements to the property which would include a new extension and did not want to move in to the property until the works has been completed. On the face of this, this case wouldn’t be considered by most status lenders as the client wasn’t residing in the property and had no mortgage history on this particular property. However Smart Money’s Dave Spencer decided to refer the enquiry to Optimum Credit in the hope that they would see the merits of this case, that being the client earned a very good income, was in stable employment and had put down a significant deposit to make the LTV fairly low. Optimum approved the referral for a £156,000 second charge at 5.13% which took the LTV to 63% and left the client absolutely delighted with the offer made available. The introducing broker was similarly delighted as he’d entrusted his client with our advice and received £2356 in commission, paid 48 hours after the loan completed. The enquiry was submitted to Smart Money by one of our introducers at 3.37pm, where Mike Scott immediately conducted his research and emailed the pack to the client on the same afternoon. The documents were couriered back the following day, where Steve Pollard drove to the offices of our lender Together Money to deliver them personally and allow for the security phone checks to be conducted, with the loan completing the same day. Nick Jones, National Sales Manager at Together Money said “As a master broker, Smart Money has a solid understanding of our buy-to-let products and provided everything we needed as a lender to ensure a swift turnaround. The speed of completion highlights to buy-to-let brokers what can be achieved when you use a specialist buy-to-let lender like Together”. A directly authorised mortgage adviser, submitted an enquiry to his dedicated adviser at Smart Money, for a client who was looking to consolidate his credit and who had been declined for a remortgage due to historic arrears on his mortgage. A longstanding introducer and an AR from one of the leading networks approached his dedicated adviser at Smart Money with an enquiry where his client was showing a number of payday loans on his credit file. Whilst most status lenders steer clear of payday lending because they can represent a clients inability to manage their own finances, we referred this case to Optimum Credit, highlighting other merits which we felt were worthy of consideration. Optimum approved a second charge for £67,500 subject to an explanation of how the payday loans occurred and confirmation that each would be cleared from the proceeds of the loan, thus improving the clients financial situation. The introducer was providing the advice on this case and was delighted that we were able to recommend a product. 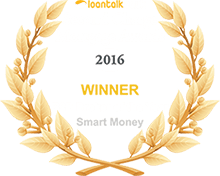 The second charge was completed inside 3 weeks, improved the situation for the client and the introducer received £2218 in commission which was paid 48 hours after the loan completed"